The rainfall is low this year. The impending drought is bringing up many challenges. Vayam’s tribal villages face the possibility of rise in malnutrition. Vegetables crop is down and the market prices are shooting up. Many tribal families with meagre resources will not be able to buy vegetables and will simply give up eating vegetables. Vayam has come up with a solution with the participation of tribal families and urban donors. The tribal villagers are digging pits (4 cubic meters). A thick plastic sheet will be laid inside this pit. 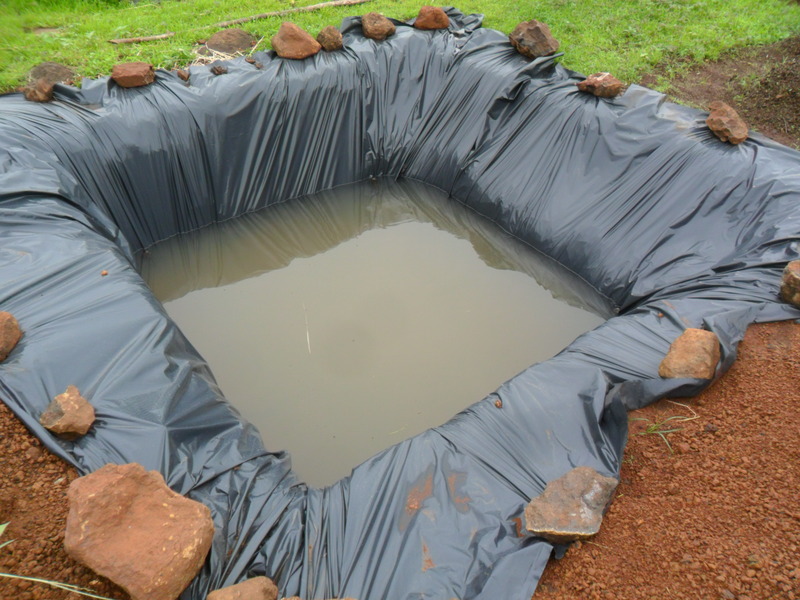 This pit or ‘Jalkund’ will store about 3,500 liters of rainwater. Sufficient to irrigate vegetables for the family for next 8-10 months. People will stitch teak-leaf and bamboo covers to cover this Jalkund and prevent evaporation. Vayam is soliciting donations Rupees One Thousand (1,500) per Jalkund. See ‘donate’ page on this blog for details of sending donations. 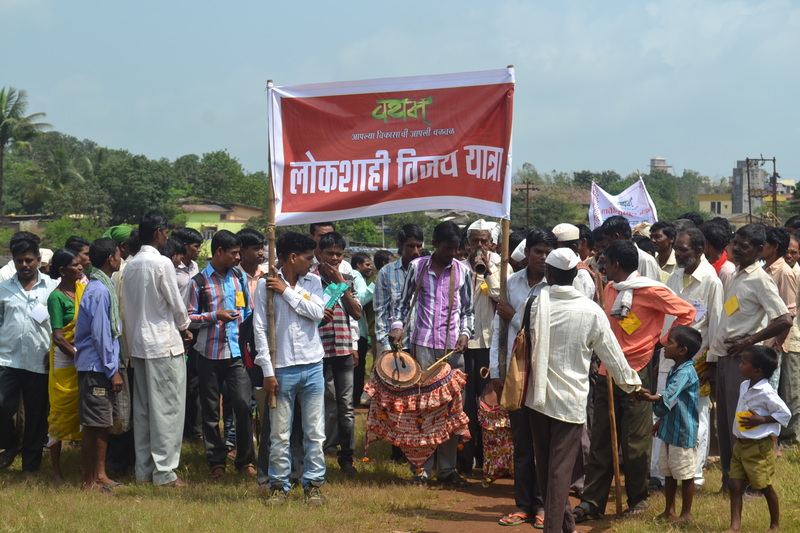 About 1,500 tribal citizens gathered in the tribal town of Jawhar to celebrate Lokshahi Vijay Yatra (Democracy victory) and danced through the streets of the town to the tunes of traditional tribal instruments like Tarpa, Dhol, and Toor. This event was organized by Vayam movement to celebrate the victory in getting information about Forest Rights claims. 1,274 citizens had participated in the RTI Satyagraha organized to bring transparency in the implementation of Forest Rights Act. This event was unique with a big number of tribal people expressing their faith in democracy. The implementation of Forest Rights Act began in 2008, however tribal farmers are yet to get the ownership of ancestral lands that are in Forest Department possession since British times. Jawhar, Vikramgad, and Dahanu tehsils in Thane district have a huge number of complaints by tribal tillers that they were given only a fraction of ownership thus keeping them deprived of the actual land they have been holding. The additional collector’s office at Jawhar and the Sub-Divisional Officer did not give any information despite 1274 citizens filing RTI applications in April. The case later went to the State Chief Information Commissioner who gave a verdict in favour of the citizens. The SCIC ordered immediate disclosure of information through letters, website, and through Gram Panchayat notice boards. The SCIC also ordered that all tribal claimants throughout the state should be given this information. The tribal villagers participating in the Vayam movement saw this as a victory of democracy. They proclaimed their happiness by the traditional expression of dance. The Lokshahi Vijay Yatra received a tremendous response from villagers and ten new villages also joined the movement. Vayam’s leading local activists Prakash Baraf and Anil Lohar addressed the mass at the end of Yatra. Mr. Baraf read out the information he had received. He said the Forest Department has filled their forms without making any field visits and the SDLC (Sub-Divisional Level Committee) and the DLC (District Level Committee) had filled their verification reports without informing the claimant. He showed blank reports signed by the committees. Mr. Lohar told the people that the committees had people’s representatives who have blindly signed such reports. He appealed to the people to go and check the representatives’ actions and ‘make them do their job’. Vayam’s organizer Milind Thatte appealed to all villages that they must file community rights claims and conserve the forest for present and future generations. Such claims are already filed by four of Vayam’s villages and they have prepared Biodiversity Registers. All four villages were recently awarded funds by the State Biodiversity Boards for conservation of biodiversity. Vayam’s village volunteers have scored a massive victory in making our democracy work. The RTI Satyagraha that was launched in April by 700 tribal citizens has finally succeeded. These citizens were seeking a vital piece of information that the government was expected to give proactively. The government (i.e. Committee headed by District collector) defied the people by giving irrelevant answers and pressurizing the appellants during RTI hearing. People wanted to know why their rights to ancestral land were denied despite the law being in their favour. The first RTI applications were filed by 1272 people. 457 followed up rigorously and filed the first appeal. When the first appeal didn’t deliver, village assemblies met and decided to send 10 representative appeals to the State Chief Information Commissioner (SCIC). People contributed money for traveling of these 10 representatives. The SCIC heard the appellants and gave a verdict that all 1272 people must be given the information they had sought. The PIO (public information officer) of the concerned offices were given show-cause notices; i.e. they have to explain why they couldn’t give information; failing which they will be fined heavily. The PIO was also ordered to pay Rs. 2,000 each to all 10 appellants as compensation for making them file appeals. We thank Shailesh Gandhi, ex-CIC and RTI activist for his phenomenal role. Cheers to Vayam! Cheers to Democracy! the Hindu: Tribal people use RTI for info on land titles, MoneyLife: RTI battle of Jawhar tribals get a fillip, the DNA: Put forest land info on website for tribals, the Times of India: Tribals to get info through RTI, the Mumbai Mirror: Finally, Thane tribals to get info about land titles, Lokmat: आदिवासींनीही वापरला आरटीआय, वयममुळे मिळाला न्‍याय, and Loksatta for appropriate publicity to this success of democratic struggle. Posted byvayamindia September 7, 2013 September 7, 2013 Posted inUncategorizedTags: forest rights, RTI, Satygraha, tribal, vayam2 Comments on RTI Satyagraha ends victorious! माहिती अधिकार सत्‍याग्रह – पुन्‍हा एकदा धडकणार! वयम् च्‍या कार्यकर्त्‍यांनी गावोगावी कायदा आणि अधिकारांविषयी आदिवासी नागरिकांना सजग केले आहे. यातून झालेल्‍या जनजागरणामुळे एकाच दिवशी जव्‍हार आणि विक्रमगड तालुक्‍यातल्‍या एकूण पंधरा गावांमधल्‍या सातशेहून अधिक नागरिकांनी माहिती अधिकाराखाली स्‍वतः कसत असलेल्‍या जमिनीविषयी माहिती मागण्‍याचा अभूतपूर्व सत्याग्रह केला. (वर्तमानपत्रांनी प्रसिध्‍दी देऊन या नागरिकांचे बळ वाढवले. बातम्‍या लिंकः महाराष्‍ट्र टाईम्‍स, लोकसत्‍ता, द हिंदू) विधानसभेतही याविषयी सरकारला प्रश्‍न विचारण्‍यात आला. पण सरकारने या सर्व नागरिकांना गुळमुळीत उत्‍तरे पाठवली आहेत. लोक पुन्‍हा आंदोलनाच्‍या तयारीत आहेत. साक्षर, निमसाक्षर, निरक्षर अशा सर्वच आदिवासी नागरिकांनी कायद्याची मशाल उचलली आहे. नोकरशाहीला लोकशाहीचा दणका बसणार आहे. Posted byvayamindia May 3, 2013 Posted inUncategorized1 Comment on माहिती अधिकार सत्‍याग्रह – पुन्‍हा एकदा धडकणार! 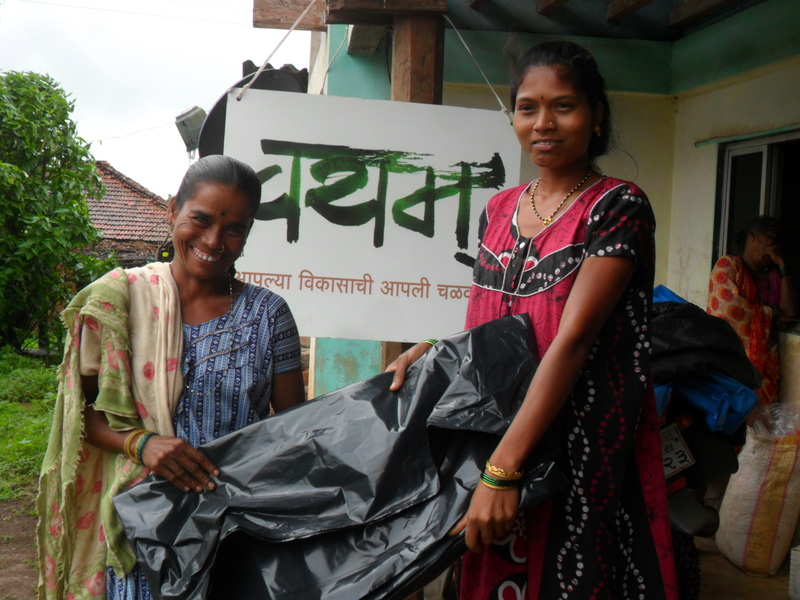 Vayam is beginning a children’s activity at a tribal village Kogda-Patilpada (10 km north of Jawhar, 145 km from Mumbai, 90 km from Nashik). This activity is nicknamed as “Bin Booka Ya Shika” (come, let’s learn without books). We are inviting young volunteers to participate and conduct activities with children. Volunteers between 17 to 25 years of age are most welcome. Prior experience of working with children and a special skill e.g. Origami, clay work, rope mallakhamb, gynamstics, story-telling, dramatics, field sports, making toys and tools etc. would be a great advantage. If you love to be with children, you are fit for this. Copy-paste the following text in a word file. Fill the blanks and mail it to us. Any special skill or liking; e.g. Origami, clay work, storytelling, Rope mallakhamb, gymnastics, sport, etc. This volunteering opportunity is open for volunteers (17 to 25 yr old) willing to live at our residence in the village Kogda-Patilpada (140 km from Mumbai, 90 km from Nashik) for minimum 4 days (inclu. 3 nights) to a maximum of 8 days (inclu. 7 nights). Tribal citizens from Jawhar Taluka of Thane district have recorded their protest and demanded rightful information in an unprecedented manner filing RTI applications at the Additional Collector’s office at Jawhar. 687 tribal citizens have filed such applications today seeking information on their claims for rights over traditional land holdings under the FRA (Forest rights Act). It is likely that more people will find similar applications in the coming days. This is an individual Satyagraha using modern legal tools. 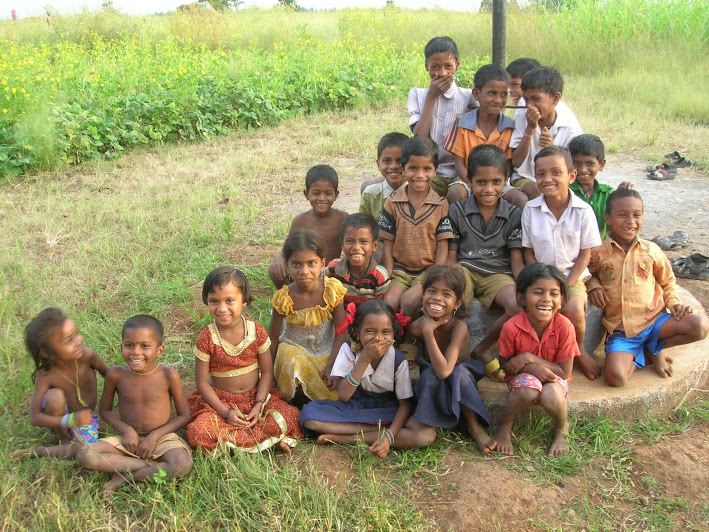 Forest Rights Act implementation began in January 2008. 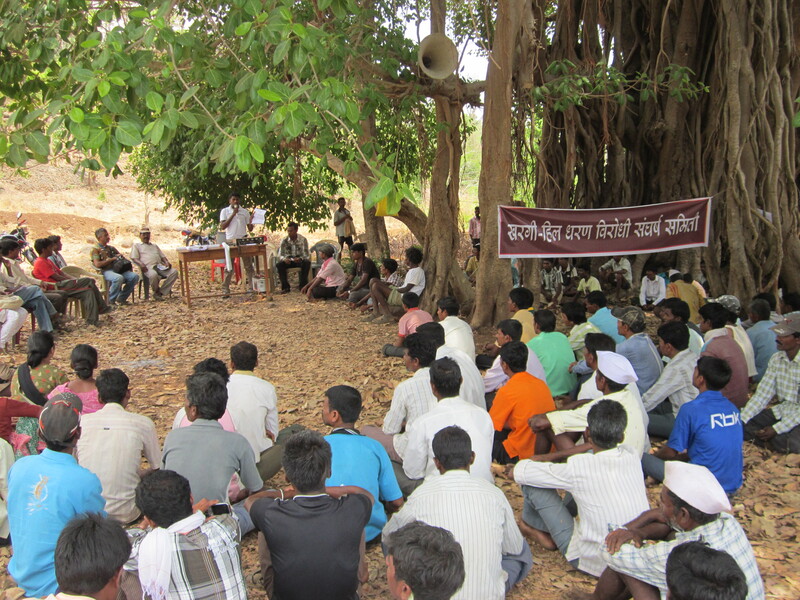 Village forest rights committees (FRC) were formed and people filed their claims with these committees. The committees verified the claims by spot visits and measurements. The Gramsabhas finally approved (or rejected) these claims. The claims were then forwarded to Sub-Divisional Level Committee (SDLC) and then to District Level Committee (DLC) presided by the District Collectors. The SDLC and DLC were expected to clear the claims within 60 days each. But the tribal claimants have received their Patta (land title) only after five years. After this long wait of 5 years, people are still distraught and shocked at what the government has given on paper. Many claimants in Jawhar and other tribal areas of the state have received a Patta that shows much lesser area of land than what the farmer is actually tilling and has claimed as a right. There are cases where the claimant had attached evidence and a verification report by FRC showing 5 to 6 acres of land holding, however the government Patta has shown only half or single acre. The government has not explained to the claimant why this unjust allocation was done. The people decided to file RTI application giving reference of the Forest Rights Act – Amended Rules of September 2012 and to the ‘proactive disclosure’ section of RTI. The Rules of 2012 and RTI (Sec. 4) both require that government proactively discloses to the claimant why an adverse decision was taken. More than 600 citizens from 12 villages from Jawhar and 3 villages of Vikramgad have filed RTI applications in a single day at the Upper Jilhadhikari office at Jawhar. Village wise numbers are: Anantnagar 72, Dhadhri 93, Wehelpada 153, Dohyachapada 33, Akre 39, Hateri 66, Kokanpada 47, Ozar 45, Sawarkhind 50, Palshin 6, Dapti 68, and Kayri 15. 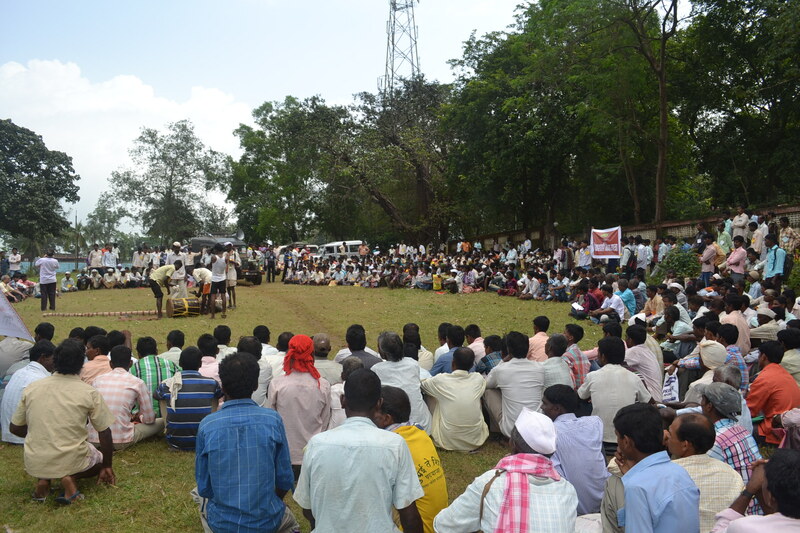 This individual Satyagraha by tribals of Jawhar is likely to continue throughout this week. 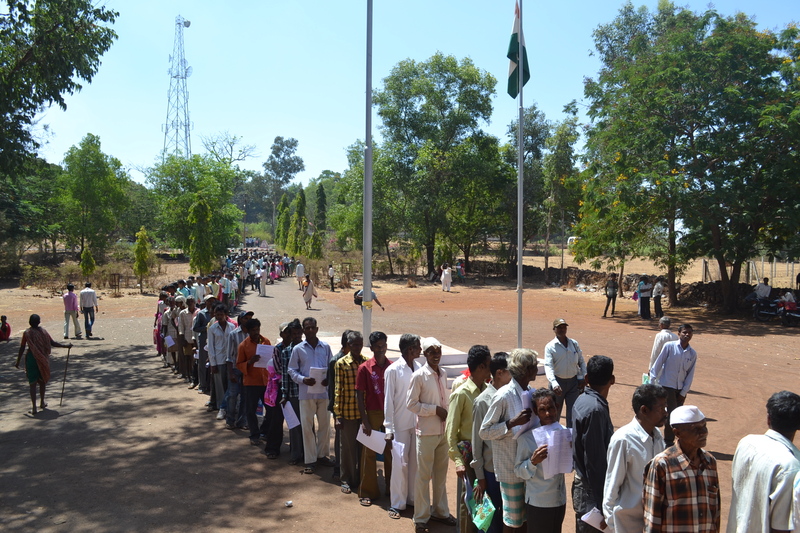 It is reported that over 50 citizens have filed the RTI applications on the second day. Vayam has trained the people in use of RTI and FRA. And the people have resolved to assert their democratic rights. + Vayam believes in free sharing of knowledge. The ideas and methodologies of empowering youth in tribal villages developed by Vayam are shared freely with other organisations, individuals, and volunteers. Vayam field team provided knowledge inputs to other organisations; viz. Aerohan (Mokhada taluka), Shramik Vikas Sanstha (Jawhar taluka), Pragati Abhiyan (Nashik district), Maharashtra Prabodhan Seva Mandal (Nashik district), Adivasi Vanvasi Jagruti Sanghatna (Raigad district), Vanvasi Kalyan Ashram (Maharashtra), Communist Party of India – Marxist (Jawhar taluka), Pragati Pratishthan (Jawhar taluka), Sah-Astitva (Ganeshpuri, Vasai taluka), and State Government of Goa (Goa). + We shared our ideas-that-have-worked with all the organisations mentioned above; specifically we could help them with People’s Biodiversity Registers (PBR), Community Forest Rights (CFR), Right to Food through PDS and National Rural Employment Guarantee Act (NREGA). The way we empower village youth to take these issues up is appreciated and adopted by many of our friends. + Knowlege sharing has certainly been a two-way process. We have learnt many more things from our friends mentioned above. + We conducted two leadership camps this year, both having a mix of new and seasoned volunteers. Keeping with our tradition, both camps were conducted on contributions given by the participants. + We have embarked our second lap. The villages where law-based-advocacy has succeeded in empowering the youth, it is now time for the community to take up self-driven initiatives. We have begun a new project coined by local volunteers as “Aplyach Gaavaat Apan Sheth” (translation: we will be rich in our own village). AGaAShe is entrepreneurship development project. It’s skill-training component is being supported by Vigyan-Ashram, Pabal. + This year also saw a huge challenge taken up by our village volunteers. They came across a dam that was planned to be built submerging the villages. The government had flouted the rules of law and had not even informed the affected citizens. Our village volunteers formed “Khargi Hill Dharan Virodhi Sangharsh Samiti” (resistance committee). Eight villages united under this banner and told the government to follow the law. The Samiti has declared that negotiations must be held with entire Gram Sabha (village assembly) and not in closed-door discussions with political leaders. This lawful agitation has brought the dam to a standstill. + Our urban volunteers have been active in raising awareness in cities about dams, displacement, and injustice to our weakest brethren. An online signature campaign and a trek through the submergence area has had a handsome response from our city friends. Thank you for supporting us all through. Of course we know you will continue to be a part of Vayam family. 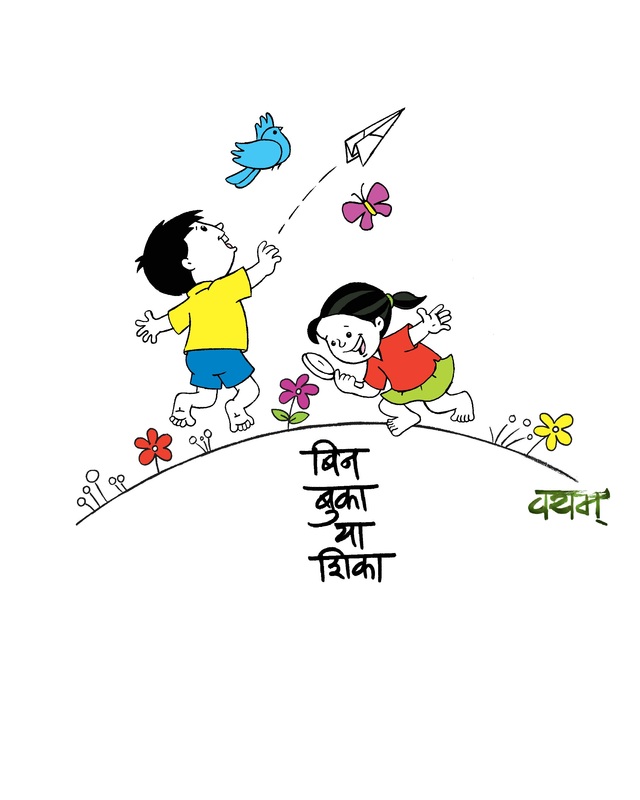 With this, we wish you and us (that’s Vayam) an amazing year ahead! रॉकेल/घासलेट पहिल्‍या पंधरवड्यात न घेतल्‍यास महिना अखेरपर्यंत घेता येते. हप्‍ता बुडत नाही. बीपीएल् व अंत्‍योदयचे धान्‍य गेल्‍या महिन्‍यात न घेतल्‍यास पुढच्‍या महिन्‍यातही घेता येते. बीपीएल् व अंत्‍योदयचे धान्‍य महिन्‍यात 4 हप्‍त्‍यातही घेता येते. रेशनवर घेतलेल्‍या वस्‍तूंची पावती मिळालीच पाहिजे. पावतीवर रेशन दुकानाचा क्रमांक असतो. एका दिवशी एकच पावती फाडता येते असा नियम नाही. ज्‍या व जेवढ्या वस्‍तू हव्‍या असतील तेवढ्याच वस्‍तू आपण घेऊ शकतो. इतर गोष्‍टी घेतल्‍याशिवाय रॉकेल मिळणार नाही असे दुकानदार म्‍हणू शकत नाही. रेशनकार्ड स्‍वतःकडे ठेवून घेण्‍याचा किंवा ते रद्द करण्‍याचा अधिकार दुकानदाराला नाही. रेशन दुकान रोज सकाळी 4 तास व सायंकाळी 4 तास उघडे असलेच पाहिजे. आठवडी बाजाराच्‍या दिवशी उघडे असले पाहिजे. आठवड्यातून एकदाच दुकान बंद ठेवता येते. रेशन दुकानात लोकांना स्‍पष्‍टपणे वाचता येईल असा महिती फलक असला पाहिजे. या फलकावर दुकानाची वेळ, सुटीचा दिवस, दुकान क्रमांक, तक्रार वही उपलब्‍ध असल्‍याची नोंद, रेशन कार्यालयाचा पत्‍ता व फोन, रेशनकार्ड संख्‍या, भव व देय प्रमाण उपलब्‍ध कोटा ही माहिती असणे अनिवार्य असते. बीपीएल, अंत्‍योदय व अन्‍नपूर्णा लाभार्थ्‍यांची यादी दुकानात लावलेली असते. वरीलपैकी कोणतीही गोष्‍ट आपल्‍या गावातल्‍या रेशनदुकानात होत नसेल, तर ताबडतोब लेखी तक्रार नोंदवा. दुकानातच तक्रारवही ठेवलेली असते. ती वही मागा आणि त्‍यात आपली तक्रार लिहून त्‍याखाली नाव, पत्‍ता, सही/अंगठा करा. जर दुकानदाराने ही वही दिली नाही, तर तहसिलदाराकडे वही न देण्‍याची तक्रार करा. तक्रारवही न देणे हा अदखलपात्र गुन्‍हा म्‍हणून तहसिलदार कारवाई करतात. तक्रारवहीत पाच तक्रारी नोंदल्‍या, की दुकानदाराला 15 हजार रूपये दंड होतो. दुकानावर देखरेख करण्‍यासाठी ग्राम पंचायतीची दक्षता समिती असते. या समितीत जागरूक तरुणांनी सहभागी झाले पाहिजे. ग्रामसभेत या समितीविषयी चर्चा करा. गरज असेल, तर समिती बदला. ही समिती दुकानावर धाड घालू शकते. गैरप्रकार असतील, तर दुकानाला टाळेही लावू शकते. तलाठी या समितीचा सदस्‍य सचिव असतो. 1. कामाची मागणी करण्याचा अर्ज म्हणजे नमुना चार 4. हा अर्ज ग्रामपंचायतीत द्यायचा असतो. 2. आपण दिलेल्या अर्जाची ग्रामसेवकाच्या सही शिक्याने मिळालेली पोचपावती म्हणजे नमुना पाच 5. 3. कामावर सात दिवसात हजर व्हा अशी लेखी नोटीस प्रत्येक कुटुंबाला मिळाली पाहिजे. या नोटिसला नमुना सात 7 म्हणतात. 4. नमुना पाच 5 मिळाल्या‍पासून 15 दिवसात जर काम मिळाले नाही, तर तहसिलदाराकडे लेखी तक्रार करायची. या तक्रार अर्जाची झेरॉक्स काढून त्यावर तहसिलदार ऑफिसमधल्यात टपाल क्लर्क कडून सही शिक्का घ्यायला विसरायचे नाही. 5. या तक्रार अर्जात काम मिळावे आणि बेकारी भत्ता मिळावा अशी मागणी करायची आहे. पगाराच्या पावपट बेकारी भत्ता मिळेल असे कायद्याच्या कलम 7(2) मध्ये म्हटले आहे. 6. आपण काम व्यवस्थित केले, पण पगार कमी मिळाला असेल, तर संबंधित खात्याकडे आपल्या कामाची एम्.बी. (मोजमाप नोंदवही) मिळावी असा लेखी अर्ज करा. 7. मस्टर सहा दिवसांचे असते. मस्टर बंद झाले, की 15 दिवसात पगार मिळाला पाहिजे. त्यापेक्षा उशीर झाला, की तहसिलदाराकडे लेखी तक्रार करा. 9. कोणतीही तक्रार करताना वर ‘तक्रार अर्ज’ असे लिहा. दोन झेरॉक्स काढा. एका झेरॉक्सवर पोचपावतीचा सहीशिक्का घ्या आणि दुसरी झेरॉक्स वयम् च्या कार्यालयात जमा करा. 10. वीस लोकांचे काम असेल आणि तिथे 100 लोकांनी गर्दी केली, तर सर्वांना मजुरी खूप कमी पडेल. कारण कामाच्या मोजमापाप्रमाणे पगार मिळणार आहे. 11. गर्दी होऊ नये, म्हमणून गावात पाडासभा भरवून सर्वांना ‘शेल्फ’ वाचून दाखवा. आणि कोणत्या कामावर कोण जाणार हे ठरवून ठेवा. 12. काम संपल्यानंतर मस्टर सुध्दा पाडासभेत वाचून दाखवा. यामुळे खोट्या हजेर्यांना आळा बसेल. 13. गावाची एक एम्.बी. बनवा आणि प्रत्येक गँगचे (गटाचे) काम टेपने मोजून लिहून ठेवा. पुढे जर रोज कमी पडला, तर आपली एम्.बी. दाखवून सरकारशी भांडता येईल. आम्‍ही – ढाढरी (ग्रा.पं. ढाढरी), कोकणपाडा, रूईपाडा (ग्रा.पं. हातेरी), गवटका, खर्डी, पवनमाळ (ग्रा.पं. सारसून), खरपडपाडा व वाढुपाडा (ग्रा.पं. दाभोसा) येथील ग्रामस्‍थांनी एकत्र येऊन खरगी-हिल धरण विरोधी संघर्ष समिती स्‍थापन केली आहे. शासनाने आतापर्यंत दमणगंगा-पिंजाळ नदीजोड प्रकल्‍पासंदर्भात ग्रामसभेशी कोणतीही चर्चा न करता फक्‍त सरपंच व राजकीय पुढा-यांच्‍या गुप्‍त बैठका घेतल्‍या आहेत. (आपल्‍या कार्यालयातील बैठका दि. 14/11/2011 व 2/4/2012) या बैठकांचे इतिवृत्‍त आम्‍ही माहिती अधिकारात मागूनही शासनाने दिलेले नाही. प्रकल्‍पग्रस्‍त गावांपासून माहिती दडवण्‍याच्‍या या पध्‍दतीचा आम्‍ही निषेध करत आहोत. ग्रामसभेशी न बोलता प्रकल्‍पाचा फीजिबिलिटी स्‍टडी करण्‍याबद्दल राष्‍ट्रीय जल विकास अभिकरणाचाही आम्‍ही निषेध करतो. आमच्‍या ग्रामसभांनी या धरणाविरोधात केलेले ठरावही या निवेदनासोबत जोडले आहेत. वन हक्‍क कायदा 2006 (कलम 3-1 व 4-5), पेसा कायदा 1996 (कलम 4), व मुंबई ग्रा.पं. कायदा 1958 (कलम 54) या कायद्यांचे पालन करून शासनाने यापुढील सर्व चर्चा ग्रामसभेशीच करावी, अशी मागणी आम्‍ही करत आहोत. राजकीय पुढारी किंवा प्रतिनिधींशी बंद खोलीत झालेली कोणतीही चर्चा किंवा तडजोड आम्‍ही स्‍वीकारणार नाही. ग्रामसभेशी समाधानकारक चर्चा होईपर्यंत आम्‍ही सरकारशी पूर्ण असहकार करू, हे ध्‍यानात ठेवावे.